Whilst awareness of the dangers of arc flash has continued to increase over the last few years, the number of incidents that are still occurring on a daily basis are shockingly high. 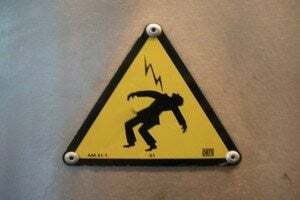 Arc flash incidents are the greatest threat to the wellbeing of any electrical worker and can lead to serious injury and in some unfortunate cases, life long disability or death. Arc flashes generally occur due to a short circuit between energised conductors. If the massive amount of electrical energy can find a path to ground or lower voltage, the ensuing blast – caused by an electrical breakdown of the resistance of air and the plasma charge that creates – can cause a great deal of damage, not only to the electrical systems, but to any worker in direct contact and any worker within the general vicinity of the blast. Injuries sustained include serious burns from the tremendous amount of heat created, impact injuries from falls and shockwaves from the blast, the inhalation or burning of molten metal and risks to vision and hearing. PPE and the right electrical safety measures can greatly reduce the risk of serious injury from any of these threats. First things first, PPE (personal protective equipment) isn’t a guarantee of safety. A common misconception of PPE is that it protects the user from all injury and regardless of the accuracy of the hazard analysis and the correct application of the correct level of PPE, arc flash PPE is not infallible. It is there to reduce the impact of and overall injury when a dangerous incident occurs. PPE is no replacement for the correct safety procedures, de-energising equipment (although there is still a risk of arc flash during this process) or, when available, working remotely on an electrical system. What PPE does do is seriously reduce the overall damage that a worker is likely to receive as a result of an unfortunate arc flash incident. Before work is undertaken on electrical systems, the level of arc current and incident energy should be worked out subject to an arc flash hazard analysis, as laid out in the IEEE 1584. The resulting calculations can then be used to define the level of PPE required, as well as the over current protective devices required and the safest working distance. Whilst PPE can be a lifesaver, can greatly reduce the dangers involved in working with electrical equipment and make the difference when things do go wrong, it’s important for electrical workers to follow best practice, industry standard safety measures, de-energise equipment when possible, work remotely if that option is available and above all, keep up to date with the latest industry relevant safety news and developments. I work for a company that specialises in cable installation equipment for the electricity and telecommunications industries.